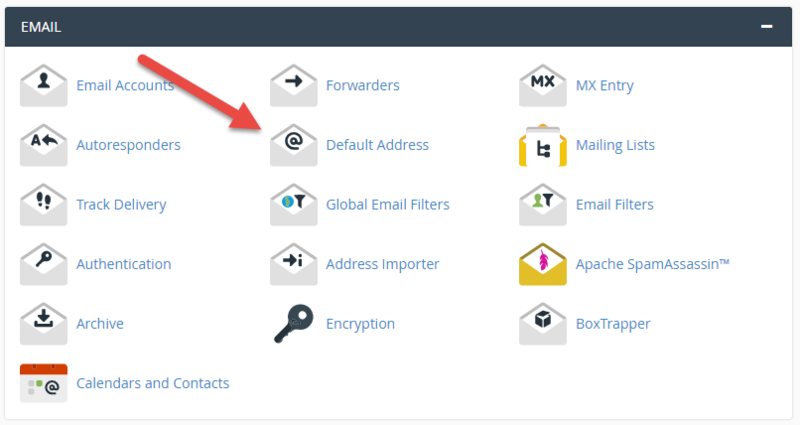 This guide explains how to set up a default ("catch all") email address in cPanel. All emails sent to an undefined address in your domain can be sent to an email address of your liking. This email address will then work as a "catch all" email address, and it will receive all emails sent to undefined email addresses. 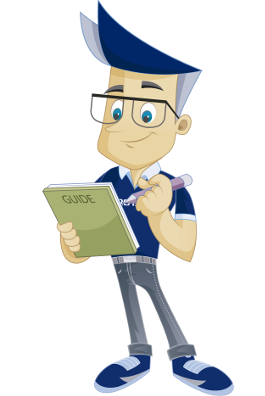 If you have several domains linked to your account, select the domain for which you want to set up a catchall email address here. In this example, we chose the "dittdomene.net" domain. Check that "Forward to email address" is selected. If it is not selected, click to select it. Enter the email address you wish to function as a "catch all" email address. This email address does not need to be defined within the domain selected in step 1. You may choose any email address you desire. In this example, we chose "ola@dittdomene.net". Click on the "Change" button to save the changes. You have now set up a default ("catch all") email address that will collect all undefined email to the domain selected in step 2. In our example, we have set it up so that all undefined email to the "dittdomene.net" domain will be delivered to the "ola@dittdomene.net" email address. 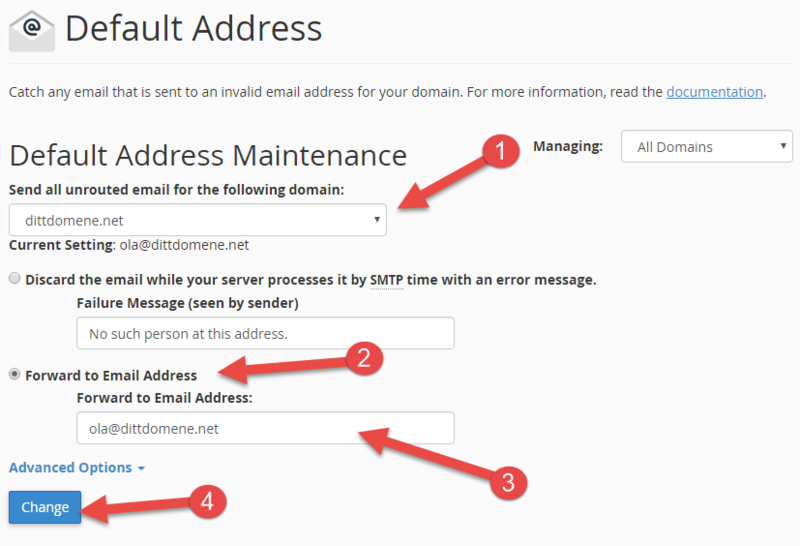 We have now covered the steps required to set up a default ("catch all") email address.